My little one has shown a keen interest in windsurfing, so we picked up a kids rig and he has been on my 106l with success going downwind, I just wished he would stop before getting to the kiters, the walk back is getting longer. Having found out that boards for kids are not easy to come by, he really needs a board with a centre board to get upwind. 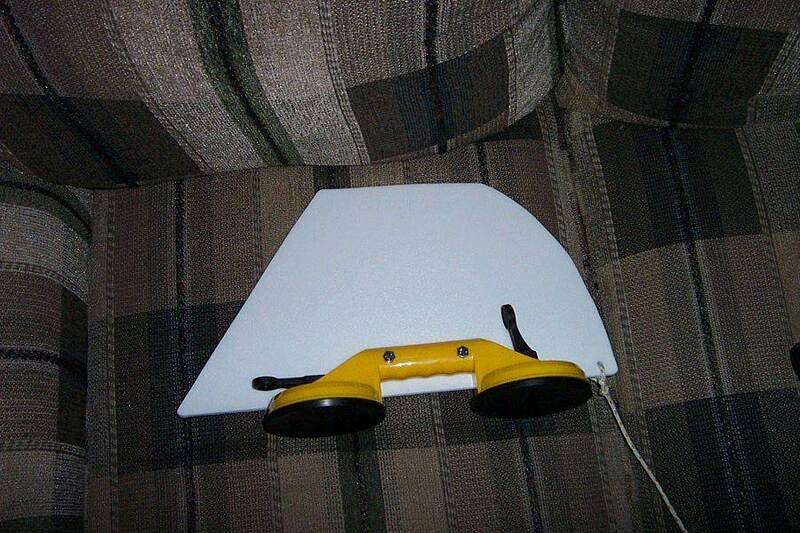 Anyway I have this old Santosha wave board and thought just maybe I can have a fin box added and use on old race fin as the centreboard. Took it out the other day and he managed to get going on it, but was a bit wobbly on it, it's only 54cm wide where the 106l is 65cm wide. Would it be worth the effort of putting in the fin box or looking for a wider board and doing the same thing. I guess the mast track would create a weak spot in the board. Not sure of the ins and out of where to place the centre board. By the way I also had a go on the Santosha and she went surprisingly fast. Alternatively if anyone has any old board with a dagger board let us know. 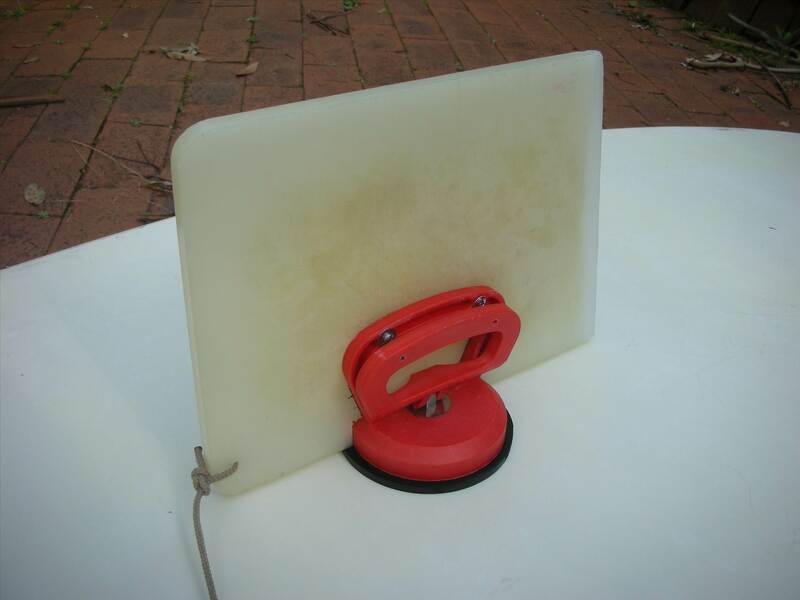 Hi mate, when my daughter learnt to windsurf on my SUP I bought a suction cup from Bunnings. It was quiet large with 2 handles that when pulled into the vertical position provided suction. On one of the handles I attached an old fin and a long piece of rope from the handle to the mast base in the event that she ran aground and knocked the suction cup off. It worked a treat and I've since passed it on to another learner. Join in with the Metro Kids Windsurfing. they supply the kit! how easy is that. My girls have a great time with the Dunsborough group. Run by WWA. robbo1111 that's not a bad idea, you wouldn't have a pic of it. BSN101 that's where he tried it a fews weeks ago, the next one is on the 28th. He could wait that long. Thats a bummer, they are on each weekend down here, except this week as they went to LOC! lucky kids. Perth kids are in Lano too. Kids sailing tomorrow in Lano if anyone is up here for the race. Heres a few different versions of the suction cup centreboard. Adds a lot of drag but helps point upwind. Akim who has taught a stack of kids over here told me the best way to get kids hooked was to get them planing, and to not stress about pointing upwind. Good advice.